The SLEEP issue is out! 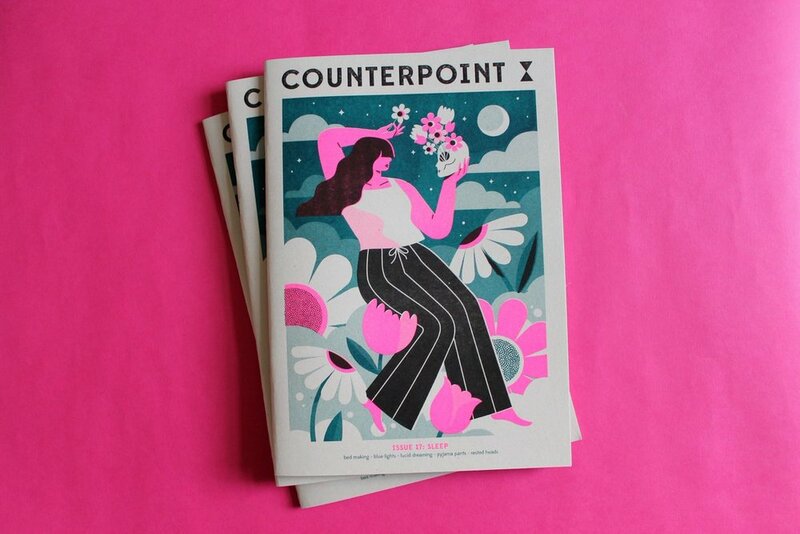 The new issue of Counterpoint is the FLIGHT issue. Containing stories about aerialists, aviators and anxious flyers, alongside some truly stunning illustrations, our new issue is one of our best ever. Three-colour risograph printed magazine featuring original writing and beautiful illustration inspired by the theme ‘Sleep’. This issue will take you on a journey into the subconscious, with features on why your phone is keeping you awake, the dreamy work of illustrator Maria Stoian and how to harness the power of lucid dreaming. LIMITED PRINT RUN - order now and grab your copy!